The Windows 10 upgrade was released late last week, and with it came a new web browser – Microsoft Edge. Formerly codenamed Project Spartan, Edge is the default web browser in Windows 10. Internet Explorer 11 is also included with the new OS, but is basically unchanged from the version of IE11 found in Windows 7 and 8.1. Although it might be a while until Windows 10 gains widespread enterprise adoption, it’ll likely have reasonably swift uptake in the home so Edge will start becoming an important browser for cloud-based systems that are designed to be used outside of the enterprise within 6 months or so. This is controlled by a ‘blacklist’ of sites however, so there’s no need to worry about your Fusion or Taleo implementations giving this message. So, does it work with Fusion? Mostly, yes. The first time I tried to log on it stalled on the sign-on page, but when I refreshed it logged straight in. I couldn’t get it to do it again, so maybe it was just a one-off glitch. The rest seemed to perform well. This entry was posted in TW and tagged Browsers, Fusion, Taleo. We are delighted to announce that Cedar Consulting has achieved OPN Specialized status for Oracle HCM Cloud. To achieve this a number of our consultants had to pass a set of exams on Oracle HCM Cloud and as a business we had to have a certain amount of clients. This means that we can proudly display this logo on relevant collateral. “This Specialized status, which follows extensive investment in our Oracle Cloud practice, further demonstrates Cedar Consulting’s commitment to Oracle HCM Cloud. 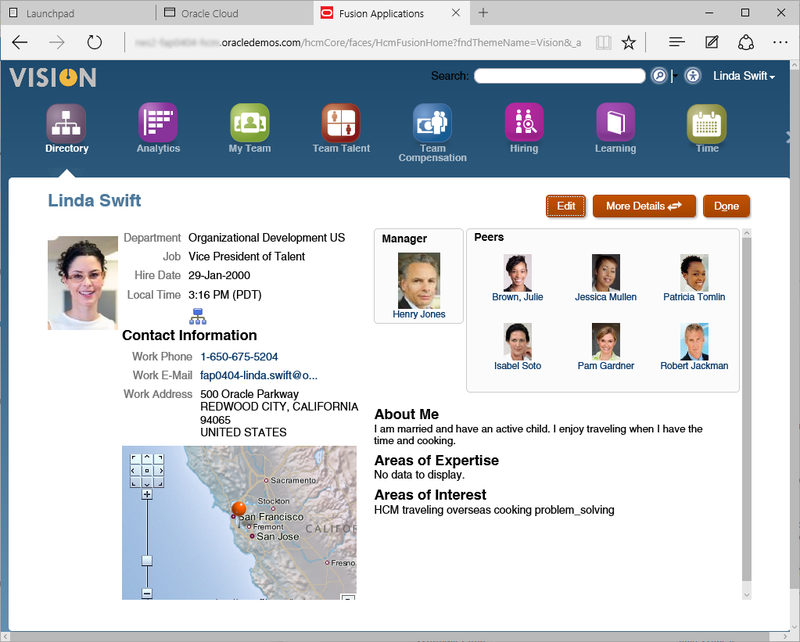 Having been implementing Oracle HR applications for 20 years we are very excited about the opportunities Oracle Cloud brings for ourselves and our clients”. 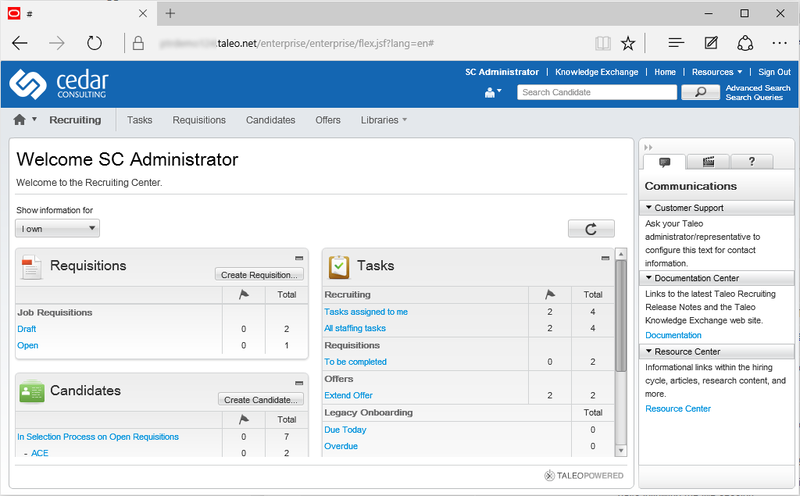 This entry was posted in TW and tagged Fusion, Oracle, Specialisation. They’re Larry Ellison’s words, so there’s no arguing with it. There’s no hint as to which end of the year, or whether this is the general release or one of the previously mentioned ‘beta’ releases to a limited customer set. This may or may not be huge news as we had suspected that the General Availability release would be 2010 anyway, but there had previously been no comment from Oracle on this. Further comment (from Vinnie Mirchandani) here. This entry was posted in Uncategorized and tagged Bad News, Fusion. I drew a little criticism a year ago when I posted a link to a site which questioned whether Fusion would go on general release in 2008. Again, I’m not basing this on anything other than quotes from OpenWorld (and I wasn’t present so I have to take it in good faith that these quotes are legitimate), but it really does seem the case that it’s going to be 2009 at the absolute earliest. There’s an article on NetworkWorld titled ‘Oracle’s Fusion app suite may not ship until 2010‘. Now I can’t see any quote specifying 2010, but reading between the lines it sounds a lot more likely than the 2008 we were reassured it was going to be. Interestingly, the quotes apparently come from Steve Miranda (SVP Fusion Apps Development). As they’ve mentioned an incremental release pattern, if the early customers are to get it at the end of 2009, surely that means the rest of us are looking at sometime in 2010? This entry was posted in Uncategorized and tagged Bad News, Fusion, OOW. I wonder if the following will also be true of upcoming PeopleSoft releases? I’m sure I’ve heard somewhere that there is an internal project to achieve this, but I may be mistaken. It may mean (at least in theory) that the document templates for some of the statutory reports could be consistent across all applications. I think – following recent strategy announcements – I would have put money on this anyway, but it’s good to get confirmation. This entry was posted in Uncategorized and tagged Fusion, OOW. 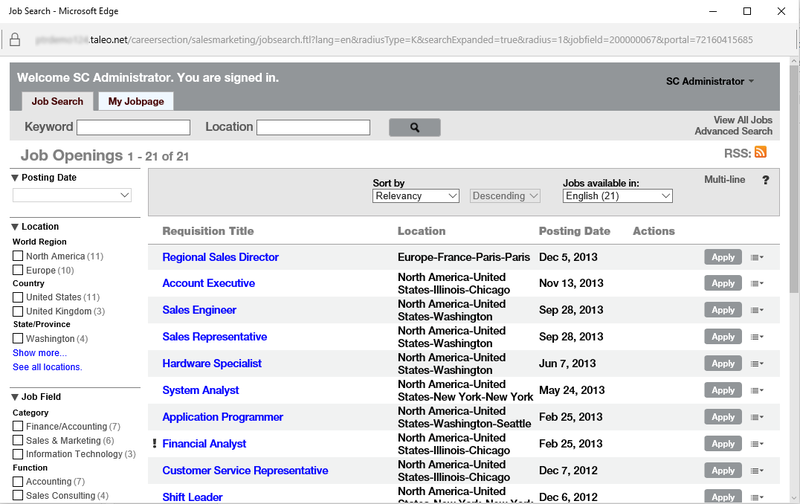 If the rumours are true then it appears Jesper Andersen has left Oracle. For those unaware as to his importance, he was the Senior VP of Applications. In fact, according to the source linked to below, he was sometimes referred to as ‘Mr Fusion’. I’ve heard Jesper speak in the past at the UKOUG and I’m pretty sure he’s done one or two of Oracle’s podcasts. Jesper was also one of the ‘ex-PeopleSofters’ so I was always pleased he was in a position of prominence. Fusion Apps witnessed in the flesh! Floyd Teter, an Oracle envangelist and big name in the User Group community in the US has had a trip to Oracle and has seen some Fusion Apps in the flesh. He mentions that whilst they’re not ready yet, they’re looking pretty good. This is all excellent news as we’ve had little to go on with Oracle’s almost radio silence on release dates and the like. Most of us out here genuinely want to be excited by what’s coming down the pipeline so info like this is very welcome. There’s no mention of which Apps were witnessed, let’s hope it was some rough cut versions of Financials or HR, and not the rather niche CRM apps that it seems are going to released first, along with (I expect) much heralding of ‘see, we delivered on time’ etc. There are lots of encouraging snippets for those of us that would like Fusion to be a success with talk that it is “next-generation” and “intuitive”, with “Web 2.0” functionality and collaboration plus “embedded analytics”. Us PeopleSoft folk are used to our app being slightly ahead of the curve, so this is excellent news. Floyd’s full write-up – and it’s worth a read – is here. This entry was posted in Uncategorized and tagged Fusion, Good News.